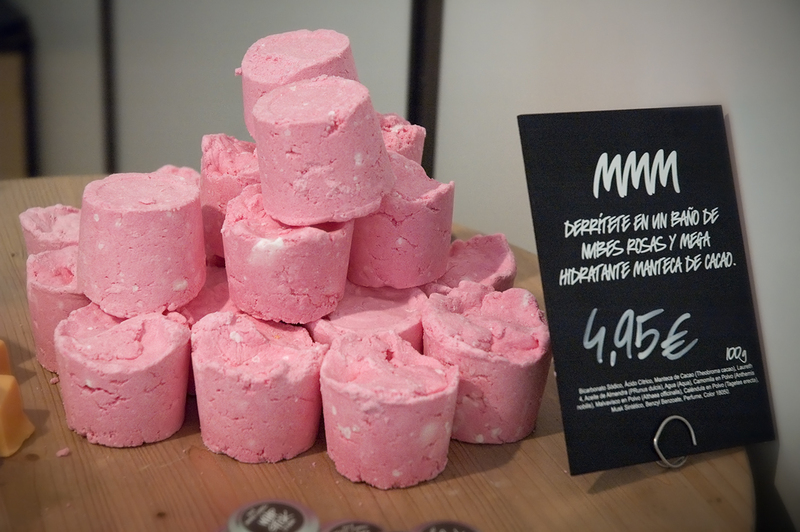 Barcelona Photoblog: Cocoa Butter Bath Soap: Are You a Hedonist or What? Cocoa Butter Bath Soap: Are You a Hedonist or What? If you are a real Hedonist (hey man, don't start calling me names) then you should try taking a bath with one of these cocoa butter soap cakes. Hmm, I imagine the scent of chocolate and the sudden urge to swallow the water or sip it with a straw pretending the foam was some kind of whip cream on top of a chocolate ice cream. Lush! We've got that store here in Toronto. It can get a little overwhelming from all the scents - but by themselves, the products are lovely! There are a couple of soap stores here, too. I'm amazed at what manufacturers do to get you to buy soap. . . .There are soaps that look similar to the ones you show (same price, too! )and some that look like cupcakes or pies or root beer floats, etc. The stores also have signs that say, "Not edible!"